For our first Meet the Maker, I'm pleased to introduce the work of Melanie Abrantes Designs. a fellow Oakland local, Melanie has captivated the hearts of the design community and just celebrated the 3 year anniversary of her business. Melanie, A creative entrepreneur is a perfect pairing to Lemay shop, Melanie Abrantes Designs is a female owned business, all products are handcrafted, and every piece is responsibly made with local and sustainable materials, We can't get enough of this work! One of the most exciting things about opening this shop has been having a platform to bring my favorite designers work together. This grouping of work creates a dialogue amongst the objects that although very distinct when shown together speaks to what is coming out of the West Coast, and more importantly, at least to me, what is coming from female designers. Melanie's work is a perfect example of the preference for pieces that are handmade by an independent designer. If you're looking for one-of-a-kind, you've come to the right place. 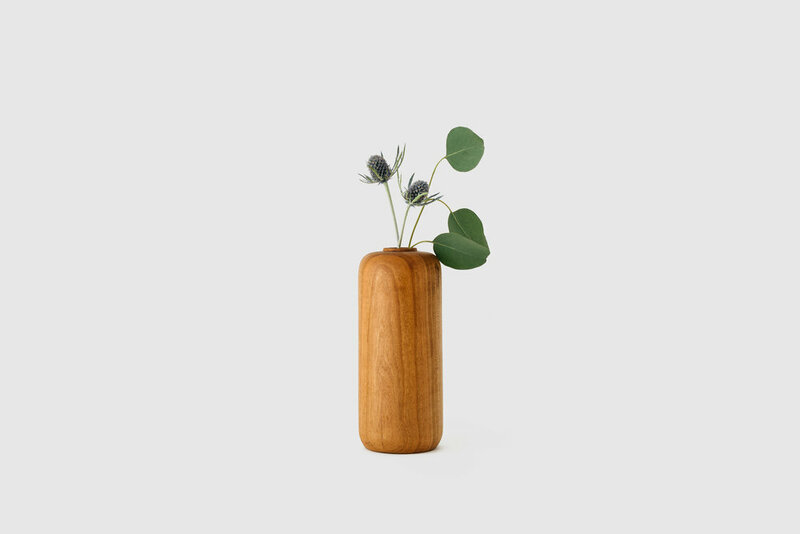 Each Bud Vase is made to order, hand turned by Melanie on her lathe in West Oakland. A graduate of Otis College of Art and Design in Los Angeles, Melanie studied product design in school. Before graduating she began experimenting on a lathe turning wood into curvaceous designs that have transformed over the years into the beautiful bud vases I now carry at LeMay Shop. Each object melanie designs is created using domestic hardwood purchased locally in California. Although her work expands beyond wood vases, the simplistic shape and delicate curve of these pieces have made them a long time favorite. Growing up with a Portuguese / Brazilian father has influenced Melanie's designs significantly. Spending summers in Portugal living with her grandparents, Melanie was exposed to products created from cork, a material with a profoundly different use than here in America. 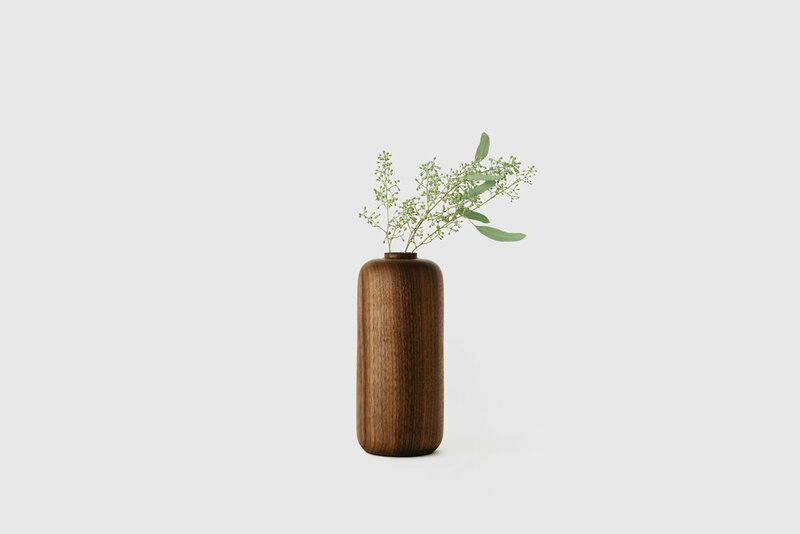 It wasn't long after learning to lathe that melanie realized the possibilities the material had, she immediately absorbed cork into her design practice reinterpreting for an american audience what was possible with this portuguese tree bark. each unique object is a modern heirlooms, using both cork and wood Melanie has built a business that embodies handcraft.